The majority of Great Britian fear the “Rise of the Machines” will happen. 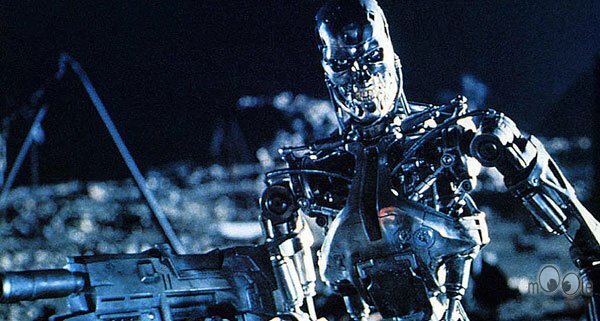 In the years to come, some fans have wondered; Will James Cameron be remembered as a prolific writer and director of movies dealing with science fiction, or will he be remembered as a “Nostradamus” of the technological world, correctly predicting a future clash between artificial intelligent machines and humanity? Well after the results to a recent poll was announced, it appears the majority of Great Britain feel it will be the latter. There was recent survey conducted of 2,000 British adults, and it shockingly revealed that Britons had major concerns over artificial intelligence and what it meant for our future. 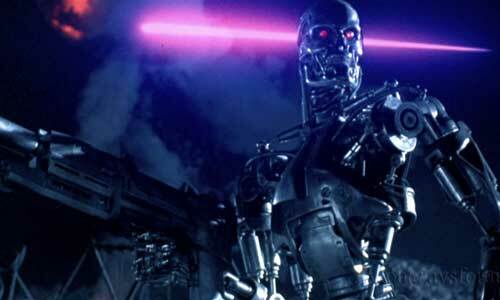 When asked how likely a scenario would occur where intelligent robots would malfunction and kill humans, only 9% believed such a scenario was “very unlikely”. And a whopping 62% of the adults polled felt the Rise of the Machines was “likely” or “very likely” going to happen. When this female humanoid robot wrongly said she would “destroy humans”, it was greeted with laughter from the reporter. Well now, after this recent survey, it appears less and less people (especially in Great Britain) are finding it funny. Previous PostA new “TERMINATOR GENISYS” Statue Series is announced featuring the Guardian, the T-1000, T-3000 and more! Next PostNew “TERMINATOR GENISYS: FUTURE WAR” Mobile Game is set directly after the events of the film! I will never have one of those things in my home !